This is a game between two teams who won their opening fixture in the Top 16, so the incentive to take a 2-0 record is up for grabs. Both sides will have a lot of confidence heading into this one, so there should be a lot of exciting and open basketball on offer in a game that could be one of the most exciting games of the week. One of the reasons the home team have enjoyed such a great season so far, holding an 8-2 record in the regular season, is down to the form of Malcolm Delaney. The United States player has managed to deliver an average of 17.5 points per game so far this season. If Delaney can deliver that sort of form on Friday evening, the Krasnodar fans will have a great chance of enjoying themselves all weekend. Another key player for Lokomotiv has been Victor Claver who has been very consistent when it comes to rebounds this campaign and if he does the same on Friday, it could be a tough evening for Anadolu. Can Anadolu deliver the performance we all know they have in them? The Turkish side have benefitted from a number of players having a consistent season. Thomas Huertel has provided an average of 13.2 points per game this season and he has been ably assisted by Dario Saric, who has been one of the key players for the Turkish team this campaign. 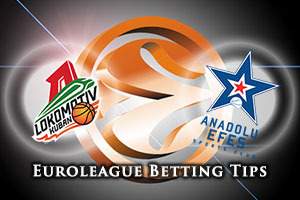 Other big names for Anadolu this season include Jayson Granger and Bryant Dunston. The Turkish team know that they face a big challenge on Friday night but they will not be scared or lacking in confidence in their own abilities for this game. The bookmakers are finding it difficult to split the teams but make the hosts slight favourites. 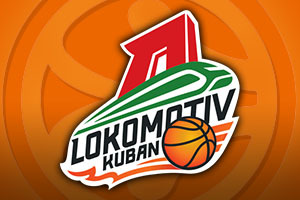 Taking Lokomotiv Kuban Krasnodar at -2.5, at odds of 1.90 is likely to be a decent best to start the weekend. When it comes to the Over/Under market for this match, you should be looking to go OVER 151.5 which can be found at odds of 1.90. Bet Now!